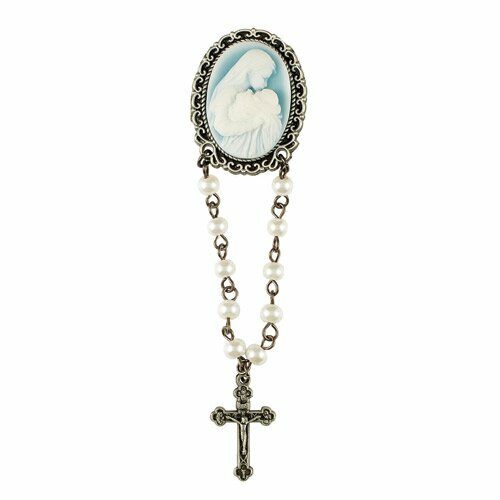 With exclusive art from Michael Adams, this gorgeous Cameo Collection rosary lapel pin from Sacred Traditions™ is carefully designed with fine detail and ornate embossing. Each richly crafted and detailed style has been inspired by vintage jewelry and is sure to become a treasured heirloom. Comes gift boxed.